World number one Tiger Woods says he is unsure when he will return to action because his recovery from back surgery is "a very slow process". Woods, 38, has not played since the WGC-Cadillac Championship in March. The American wrote on his website: "Some people heal up in three months, some people take four, some people take longer. "As for my return to golf, I really don't know. I'm doing everything I can and listening to my doctors." 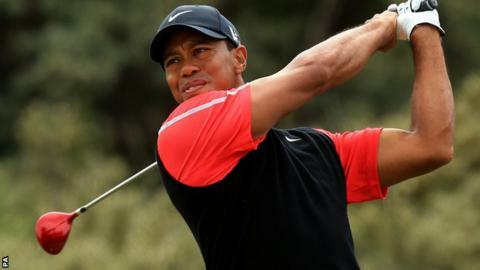 Woods missed the Masters in April for the first time in his professional career and could also sit out the US Open, which begins on 12 June, and the Open at Royal Liverpool, starting on 17 July. After that, his next opportunity to add to his 14 majors would come at the US PGA in August, while he acknowledges he is likely to need a captain's pick for the Ryder Cup at Gleneagles in September. "Not being able to play for the first time wasn't as hard for me as you might think," said Woods. "I've missed major championships before, so this was not a new experience. It helps when I'm physically unable to play the game. "I'd like to play in the FedEx Cup play-offs and the Ryder Cup, but, obviously, I'm going to have to play really well to earn points to get into the play-offs and play my way on to the team or have to rely on a captain's pick." Woods won his last major in 2008 - the US Open - and immediately took time out to undergo knee surgery, returning in March 2009. Before having his back operation, Woods "physically couldn't make a golf swing" but is now cycling and swimming to aid his rehabilitation. "I've just done putting and chip-and-runs using the same length of motion. I haven't really rotated yet. "As far as taking a full swing, I have conference calls with my doctors every couple of weeks to see how my progress is and just kind of chart it out from there."